Almost every office in the U.S. uses Microsoft Office as the fundamental platform for meetings, emails, documents, and spreadsheets. 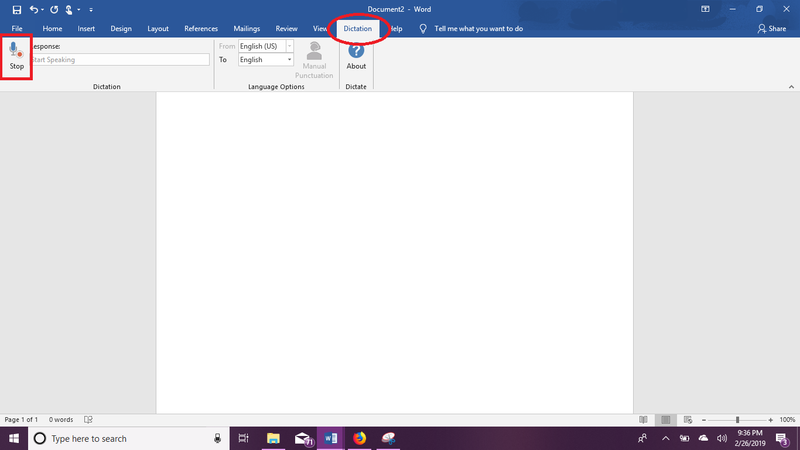 Imagine how much your productivity would increase with a dictation program supported and developed by Microsoft with seamless integration into Office. Many of us spend the majority of our day typing information into Microsoft Outlook, Word, PowerPoint or OneNote. Imagine how your productivity could change with an automated speech-to-text dictation program supported and developed by Microsoft with seamless integration into all of Office. Enter Microsoft Garage: Dictate. Dictate is a software add-in which is part of Office 365 and the Office Professional package (2013 or later). Ironically, Microsoft Dictate was originally developed as part of a Microsoft-sponsored hackathon; over time, the tool grew into a fully supported Office feature. At its core, the software converts audible words into written text near instantaneously, however it has a few extraordinary features. Interestingly, the speech recognition technology behind Dictate has also been applied to support Cortana, the virtual assistant present in Windows 10 and various Microsoft phones. Installing and activating Dictate is a fairly straightforward process which only takes a few minutes. 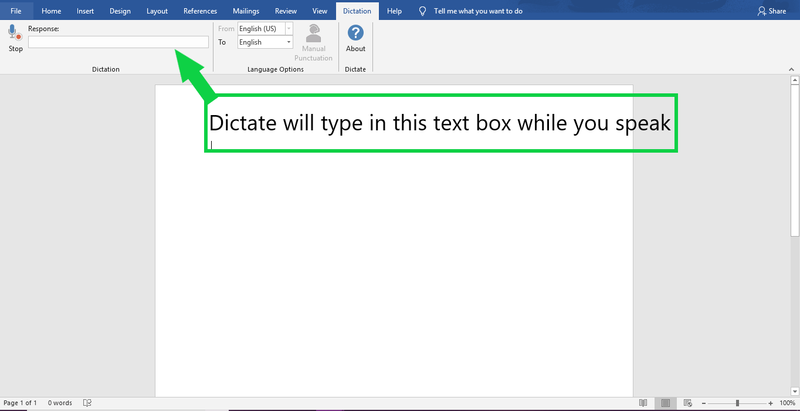 Follow the steps below to integrate Dictate with your copy of Office 365 or Professional. Close any applications you have open. 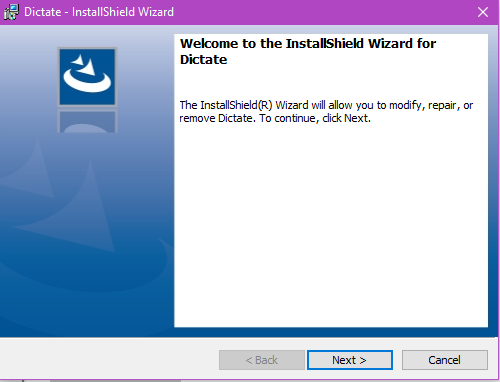 Once Dictate has been downloaded, launch the installer as shown below. After successful installation, Dictate is now ready to use in any Office application. Side Note: When running Dictate for the first time, the speech recognition may be slow to start up as the program is initially accessing your device’s microphone. Thankfully, the initial set-up of Dictate is fairly simple, but the tricky part is learning to incorporate the program into your everyday workflow. 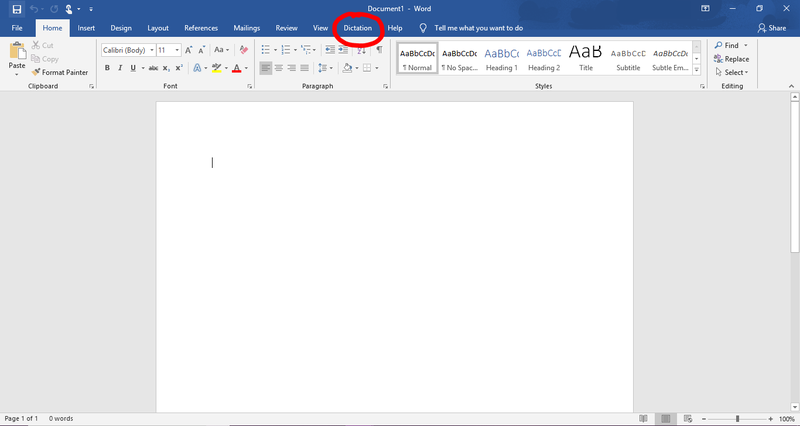 To begin using the speech-to-text software, navigate to the “Dictation” tab in Microsoft Word and select the microphone labelled “Start” at the top left of the screen as highlighted below; a red circle will appear next to the microphone indicating that Dictate is ready to listen. Simply speak clearly into your microphone and the dictation program will interpret the words as you speak, just like when using Siri or Cortana. If your device’s microphone is unable to hear you clearly, consider using a headset to help with speech recognition. While you are speaking, Dictate will begin real-time interpretation of your words in the text box at the upper left of the screen as shown below. The program will automatically capitalize the first letter of each sentence and add periods when it detects the end of a sentence. Other punctuation marks can be added manually or verbally. Don’t worry if a word is misspelled or misinterpreted in this text box, it will often be automatically corrected before it is inserted into your document or email. One of the best features of Dictate is the helpful punctuation commands. Use the verbal commands below to make your dictation as intuitive as possible. 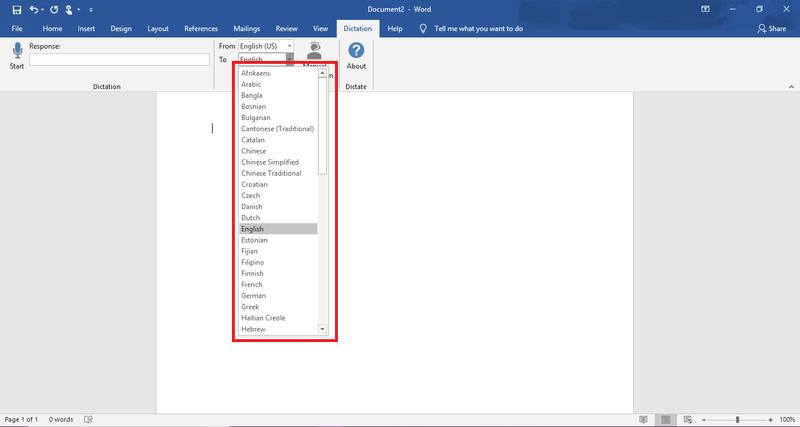 To use the translation features of Microsoft Dictate, navigate to the Dictation tab again and input the desired translation language in the “From” and “To” drop-down menus as highlighted below and click the “Start” button to begin dictation. This feature is excellent for replying to emails quickly in languages you are not fluent in. Every dictation program has unique requirements and limitations, and Microsoft’s version is no different. Becoming familiar with the program may take time, but the increased productivity is worth it! Although Dictate does not support the advanced text editing features present in higher end speech-to-text software, the basic capabilities are commendably robust for an experimental project. If your office mates may be distracted by the dictation, consider using a headset which will allow you to speak quietly without sacrificing typing accuracy. Dictate will interpret this as a hard stop and insert a period where it may not be desired. Similarly to leaving a voicemail, consider your full sentence before beginning the recording! However, the more you use the program the more intuitive dictation will feel. Once you’ve adjusted to the speaking style, dictation will become second nature and you can wave goodbye to long hours of typing! 1. An active internet connection is required to use the cloud-based, Dictate service. 2. 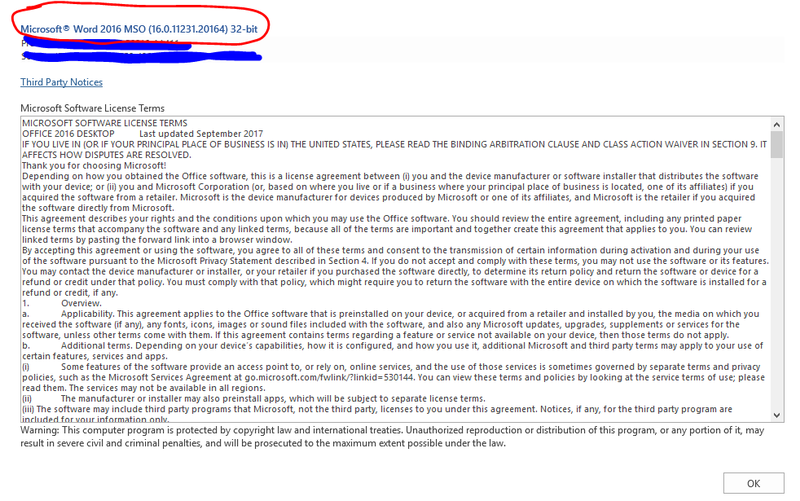 Microsoft Dictate is not HIPPA compliant. 3. In order to improve speech recognition, Microsoft records everything you say while the microphone is active. Is there an office issue YOU know how to resolve that other office workers might benefit from? Write for our blog and get published online. The best part? You get PAID. Learn more now and submit a topic! Andrew is a recently graduated engineer who loves improving workplace efficiency and financial health! Office expenses vs. supplies: What’s the difference?